Mike Deleasa, most recently known for his guest appearances on hit E! Reality show “Married to Jonas,” is making his mark on the music scene as a singer and songwriter. 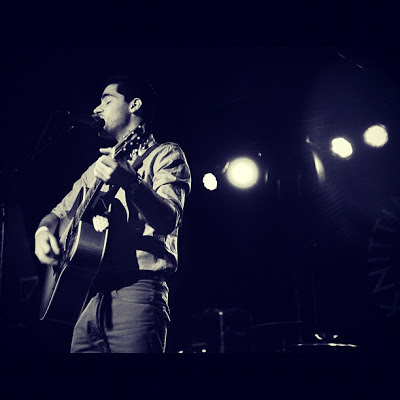 Deleasa began his music career at a young age, experimenting with sound while performing and traveling with a band while still in school. After working with some of the top writers, producers and musicians in the industry; CJ Abraham (Victoria Justice, Drake Bell) Ricky Peterson(Prince, James Taylor, John Mayer) Paul Peterson (Gavin DeGraw, Steve Miller band), Deleasa is now gearing up for the release of his second album. Deleasa finds great success with weekly single releases he has coined “Mikey Mondays” by distributing new music via iTunes and across his social networking platforms. Fans have tuned in, and over the past few years have been able to relate to the young 24 year old singer with his creative lyrics and distinctive sound. R. How did you get started with music? D. Ever since I can remember I was obsessed with music. I started air drumming at age 7 then before I knew it I was pestering my parents for music lessons and middle school came and I started my first band and just didn't stop making music. R. Which artists are you influenced by? D. I tend to be trapped in a time machine. I love Stevie Wonder, Little Beaver, Earth wind and fire and you never go wrong with Al Green. As for newer stuff there is Jason Mraz, Maroon 5 and I love me some Jamiroquai! R. The song "Time in the Day" Tells us, what? D. Time in the Day was written around the time where I was just coming back from LA and was trying to balance a relationship while working a construction gig, writing and gearing up to make the move back. It was my way of simply saying, it may seem like I don't wanna spend time but I really am doing all I can to make it work. R. You've recently hit the road with Ryan Cabrera. How did you two join forces? D. He called my bat phone and I didn't even think twice to come make the journey… it was really all by chance, he liked my moves and ask me to join the tour. I was so happy I had the chance to tour with him. R. Not so long ago you were on the hit E! Reality show "Married to Jonas." Is acting something you'll like to pursue in the future? D. I don't know I have never really given it much thought. I'm so busy with music I couldn't see the time for it right now. However it would be fun to do some comedy sketches with some friends. R. If you were a superhero, who would you be and how would you save us from the villain? D. Well I do have a batphone so I'm sticking batman and I will use my voice of reason to save you and if that doesn't work then a swift kick to the shins. Mike Deleasa is currently touring with his band “Deleasa" opening for Ryan Cabrera.